Everyday Young Mum: Whats in my changing bag? 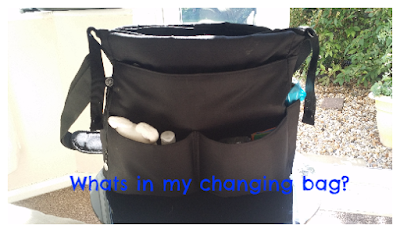 Whats in my changing bag? When I meet up with people they always look at my changing bag and ask whats in there. The amount of times I have people refer to it as my 'Mary Poppins bag'. So I thought I would reveal whats in my mystery bag. 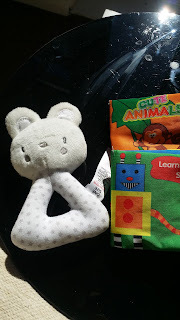 The bag i brought from Asda for £16, it came with a washable changing mat. The bag has a shoulder strap and 2 popper loops to attach it to the pram. I have been using this bag for 3 months and so far I cant complain as it is brilliant. The first thing I make sure I have are the basics, nappies. 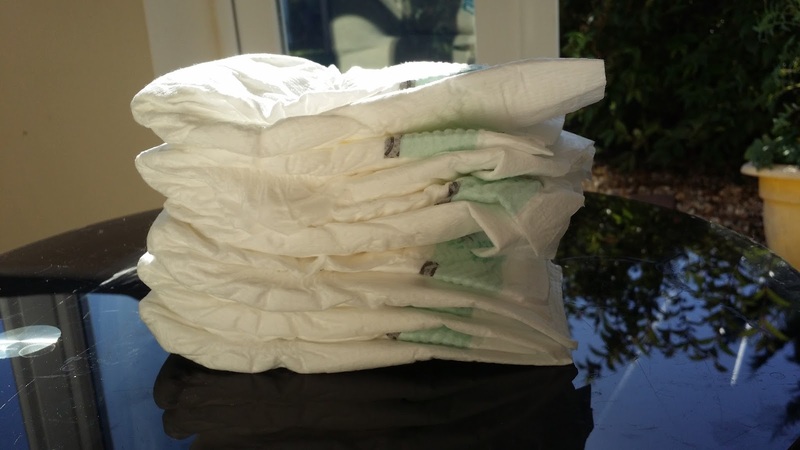 We use the mamia nappies from Aldi as they are such good value for money. I normally make sure that I have a good handful of nappies as Cohen loves to wait until we have changed him to do a poo. I normally have about 6-10 nappies in there. I then obviously have wipes and nappy bags. The nappy bags I buy from the £1 shop as they do they job. 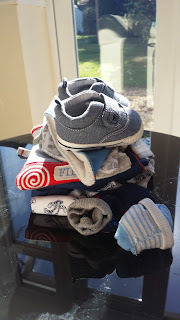 I buy the rolls of nappy bags as it is leaves more storage for other essentials. The wipes I use vary, we brought lots of baby wipes in bulk before Cohen was born. We have a mixture of water wipes, Johnsons baby wipes and little angels baby wipes. I find having a stash to hand is good as he goes through wipes like no ones business. I also carry a tube of nappy cream, I always apply nappy cream at every nappy change as it reduces nappy rash. 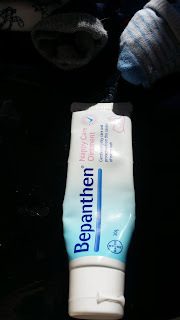 I get Bepanthan. Yes this can sometimes cost a little bit more but it is good stuff! I also carry a full set of clean clothes. This way if anything leaks through you have clean set of clothes to put them into. I include a clean pair of socks, vest, outfit (top & bottoms). I also include a pair of shoes in case it gets chilly, which with this time of year and the English weather can happen at any point. I have also just began putting in bibs. I put these on him as he is teething and it stops his tops getting wet. Another basic I also include is Milk. This is just common sense as babies always need feeding. I also include a sterilized bottle with fresh boiling water. I have found that if you fill it with fresh boiling water it will stay sterile and you can add the milk powder and heat it up if needed. 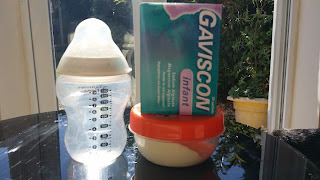 I also carry Cohen's Gaviscon with me too. There are a few things I may not necessarily need but i carry around with me anyway. One of these are extra dummies. I like to have at least 2 on me. 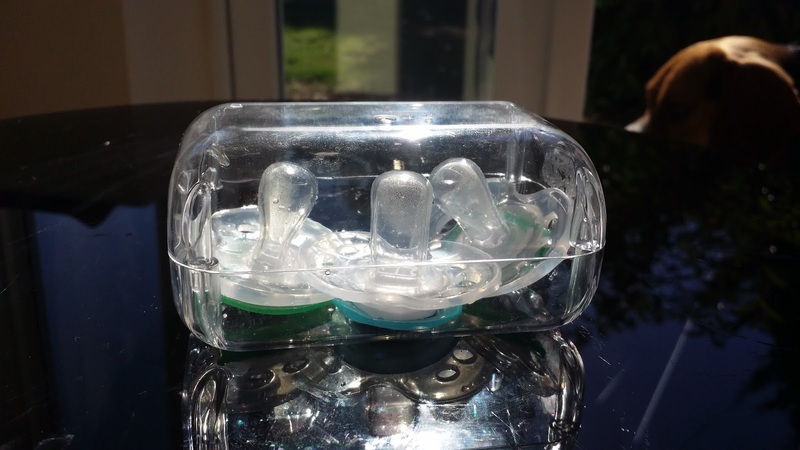 Cohen has a habbit of spitting them out on the floor when he in his car seat or if he is sat up. So keeping extra sterile ones makes it easier to pick it up off the floor and give him a clean one. I also carry a few toys for him, so that then I have something to keep him occupied should I need them. So there it is what I carry in my changing bag! I hope may have helped some people with what put in theres.